Gun control has been one of the Democrats' main policy priorities since retaking the House of Representatives. Gun rights advocates aren't surprised by the move. In fact, many of us anticipated this would be the road they decided to take. 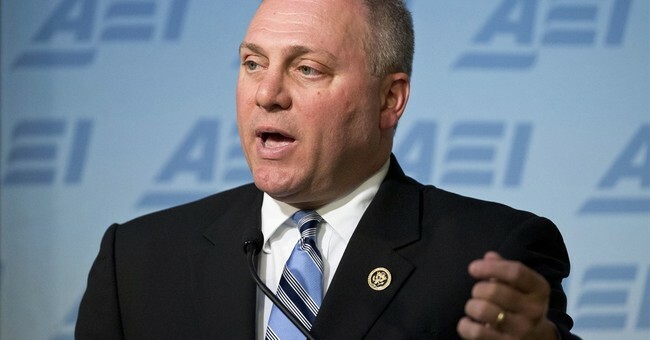 Anti-gunners made the assumption Republican Minority Whip Steve Scalise (R-LA) would be on their side. After all, how could anyone possibly stand for the Second Amendment after being a victim of gun violence? (That's their logic, not mine). But Scalise killed their narrative from the get-go when he wanted to testify in front of the House Judiciary Committee. And, naturally, Chairman Jerry Nadler (D-NY) denied the request. Scalise ended up penning a rather scathing letter to the committee with his view on firearms, gun control and the Second Amendment. Hint: It didn't live up to gun control narrative, so anti-gunners are dismissing what he's saying. "They [the Democrats] didn't want to hear all sides. They just wanted to hear the side of people who are promoting gun control. They didn't want to hear the side of people, who like in my case, it was guns, people who used guns properly that saved my life and everybody else on that ball-field," Scalise told Fox and Friends' Brian Kilmead on Tuesday. "It happens all the time in America where people actually use a gun to defend themselves. That is what the Founding Fathers intended. They believed it is not just the government's right that tells you, you can have a gun, it is your own personal right to be able to protect yourself." The real problem that needs to be fixed are law enforcement agencies and government entities dropping the ball. "If [Democrats] want to make the system work better, then there are ways that they can do it. In a lot of these cases with gun crimes, we find out it was federal agencies not doing their job. It was maybe local law enforcement not doing their job," Scalise explained. We've seen it time and time again. Parkland. Aurora, Illinois. Sutherland Springs. "In the Parkland shooting, the FBI had this kid's name in a database where he said, 'I am going to be a school shooter.' They let him go," Scalise explained. "Who has been held accountable for that? Why didn’t they have a hearing with the FBI agents who touched that case and decided we’re going to let him go? Ultimately, he went and became a school shooter. We have to hold people accountable to do their job. Don’t put more laws on the books that make you felon if you loan your gun to your friend." Democrats, if you're going to try to school people who support the Second Amendment, you might want to do a better job of looking at the facts. Government failures run rampant in mass shootings. That's not a partisan take on the issue. That's fact. And you fail to recognize it time and time again. Thankfully, people like Scalise aren't afraid of speaking out and telling their story. You. Will. Not. Silence. Him. Or any of us for that matter.